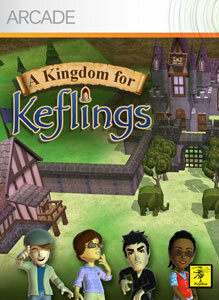 "Unlock the full version of A Kingdom for Keflings for even more homes, buildings, and workshops to build! Join up to three of your friends via Xbox LIVE to cooperatively construct the kingdom of your dreams. The full version of A Kingdom for Keflings includes achievements to earn, more Keflings to attract and many more opportunities to fill your kingdom full of love!"